What If The Corner Store Was A Gathering Place? While Amazon has opened a general store with no employees or checkout lines in Seattle and Silicone-Valley upstart Bodega claimed that vending machines would replace mom-and-pop convenience stores , Chicago-based Foxtrot has quietly developed a scalable corner store model that soon may appear in dense, walkable, commercial corridors throughout the U.S. The company initially started as strictly an app-based service delivering groceries and alcohol for a nominal fee of $5. As services like Amazon Instacart and UberEats began to expand, Co-founders Mike DiViola, Brian Jaffee and Taylor Bloom realized that a service didn’t yet exist that offered a pared-down service that offered just the few items people used on an everyday-basis… and nobody was focusing on local goods. 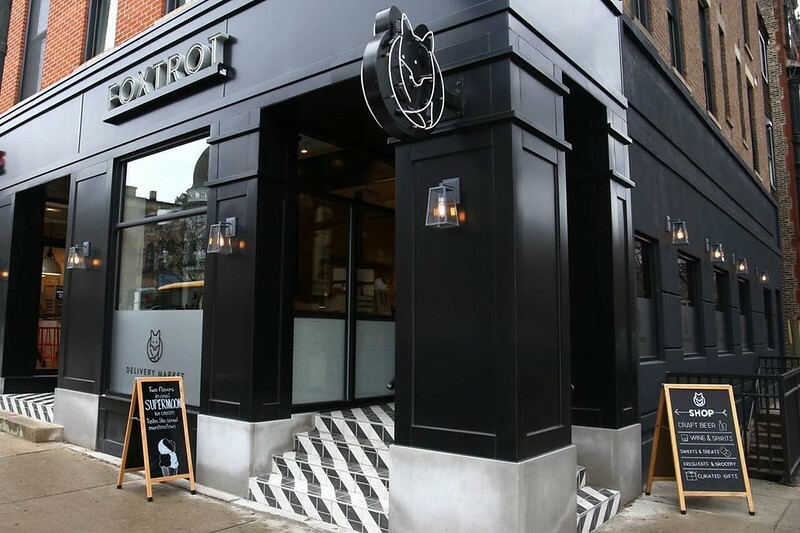 They opened their first location on Clybourn Avenue in Chicago’s Fulton Market neighborhood to serve as a delivery hub. It turns out, that people with disposable income really gravitated towards an upscale but casual corner store where they could pick up a six-pack of local craft beer, Jenni’s ice cream, a bottle of bourbon and a toothbrush. If a trip to the store wasn’t convenient, those same items could be delivered to your door within 60 minutes. The result was a multi-use space that is both digitally native and rooted in a highly engaging retail experience. Sales at each of the company’s four stores are almost evenly split between delivery and walk-in foot traffic. 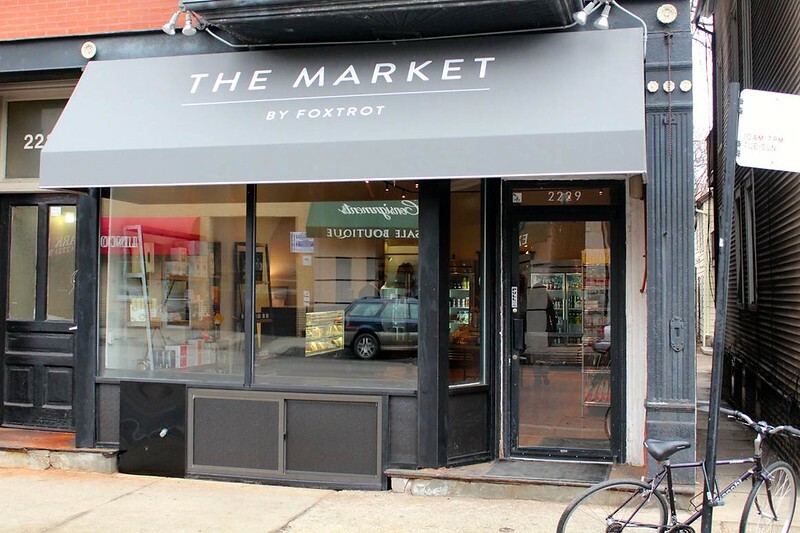 “Over the past few years we’ve been able to take the curated, on-demand Foxtrot experience and truly tailor it to our neighborhoods and customers here in Chicago, and are eager to do the same for communities across the country,” says Foxtrot co-founder and CEO Michael LaVitola. The stores have introduced the company to new customers. Existing customers have migrated into the stores to browse the curated selection of goods in person, ask for advice and enjoy a hot cup of coffee or scoop of ice cream in the process. And the company benefits from both sides of this physical/online transaction loop by capturing valuable data necessary to keep product mixes relevant to hyper-local neighborhood needs. · Bush Temple of Music: In a historic building that has recently been brought back to life in River North, created a space that combines a coffee shop and market, bringing this amenity to a refurbished residential building and the neighborhood. · Jeni’s Ice Cream: In partnership with local ice cream favorite, Jeni’s, built a unique retail space at the Lincoln Park location that is a hybrid of a corner store and an ice cream shop. · FEW Spirits & CH Distillery: Collaborations with local Chicago distillers provide unique and highly localized gifts, delivered on-demand through the Corporate Gifting Program. Next: Click Here to see how Amazon is expanding its brick and mortar presence.